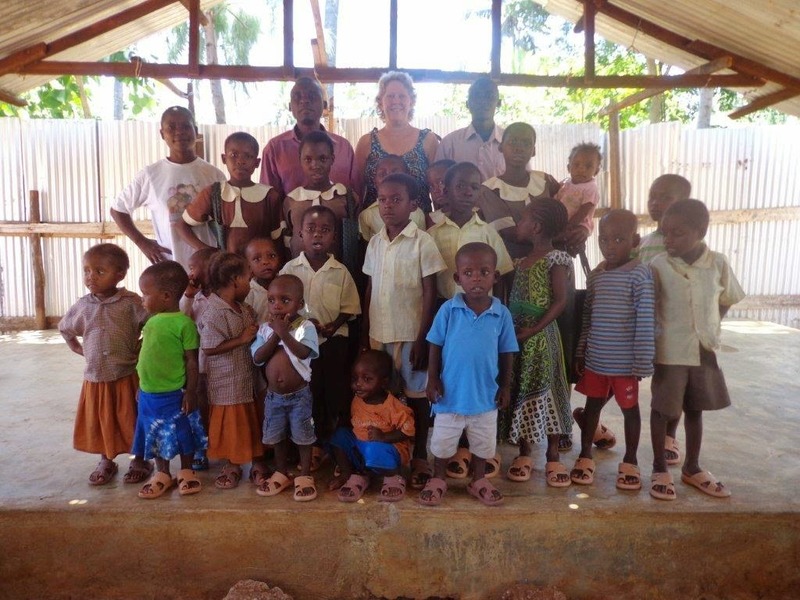 The children of Jesus Gathering Center School in Watamu, Kenya. Jiggers. Of all the times I've tenderly cared for the piglets attached to so many lovely children's feet, this washing was one of most sad. 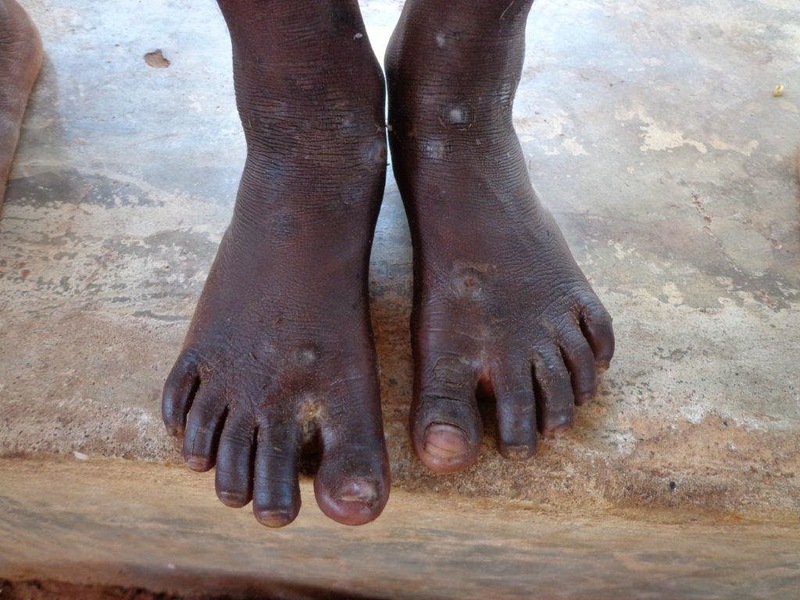 These tiny shoeless toes are covered with jiggers (sand fleas). 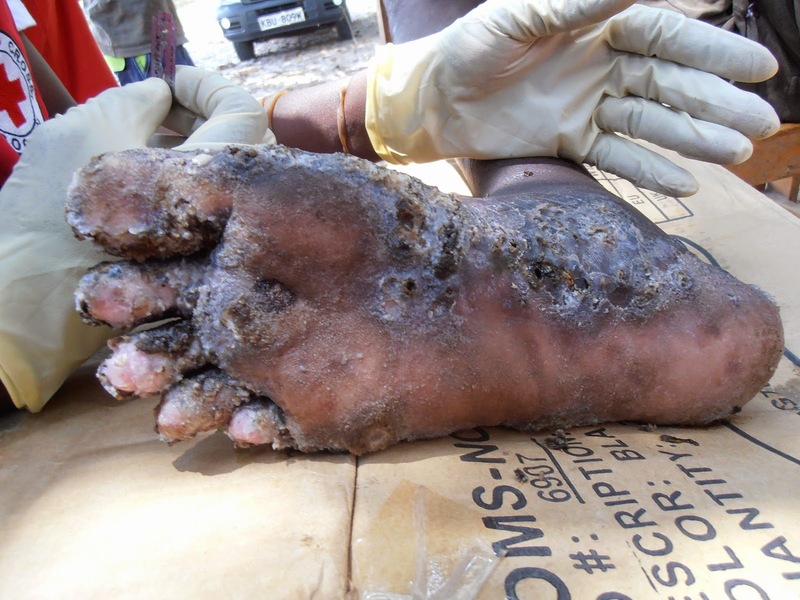 Jiggers are a parasitic worm that lives in the ground and burrows into the feet of my lovely shoeless children and multiples. There's a way to remove these jiggers that requires digging into the toes in a very painful process, but I have not been trained in this just yet. According to Wikipedia, "If the flea is left within the skin, dangerous complications can occur including secondary infections, loss of nails, and toe deformation. These are relatively rare, but heavy infestations combined with unsanitary conditions greatly increases the likelihood of complications." What I hear stories about is children (and adults) missing church and school because they can't walk. My little buddy Benja - Pr Tsofa's boy who attached himself to me a few years ago - has at least a dozen of these unwanted guests. 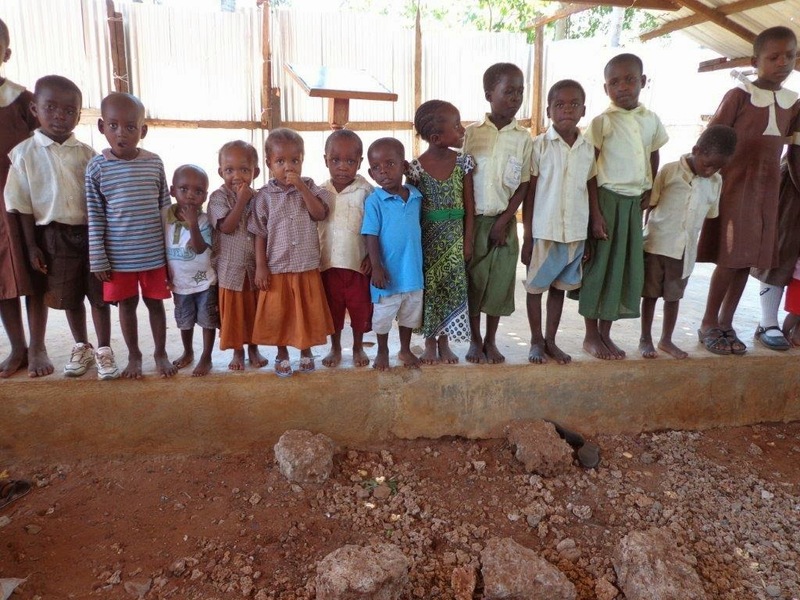 So, as you think about the value of sponsoring a pair of Sensible Shoes and all that goes into serving these children and praying for their future, please also think about the very practical need for a pair of shoes to separate their tiny feet from the ground. but I couldn't bring myself to photograph every foot. I had all I could do to wash them tenderly and carefully. 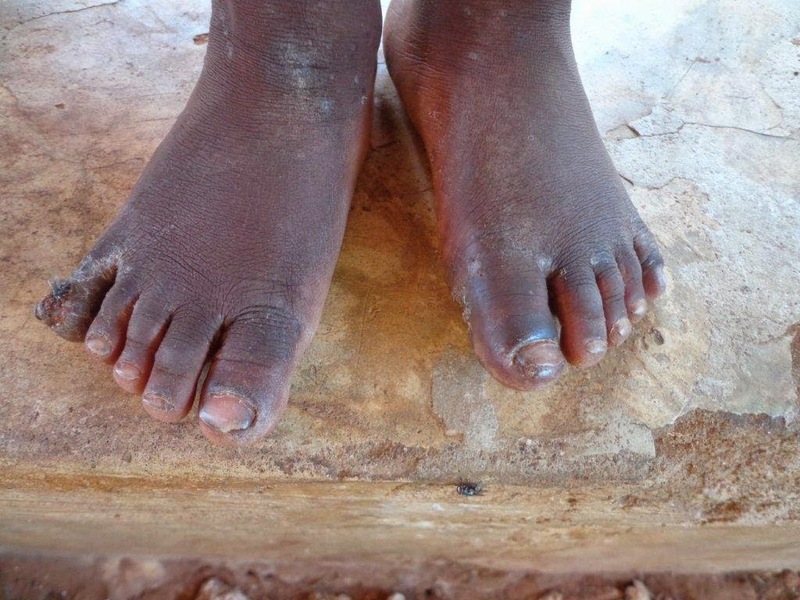 but this is what can happen without treatment (and without shoes). The other half of the story goes like this. As I finished teaching about walking in the way of love, washing the feet of the older children, and praying over their lives, I asked if any of them would like to wash the feet of the younger children. One young girl was quick to give voice to her desire to serve. 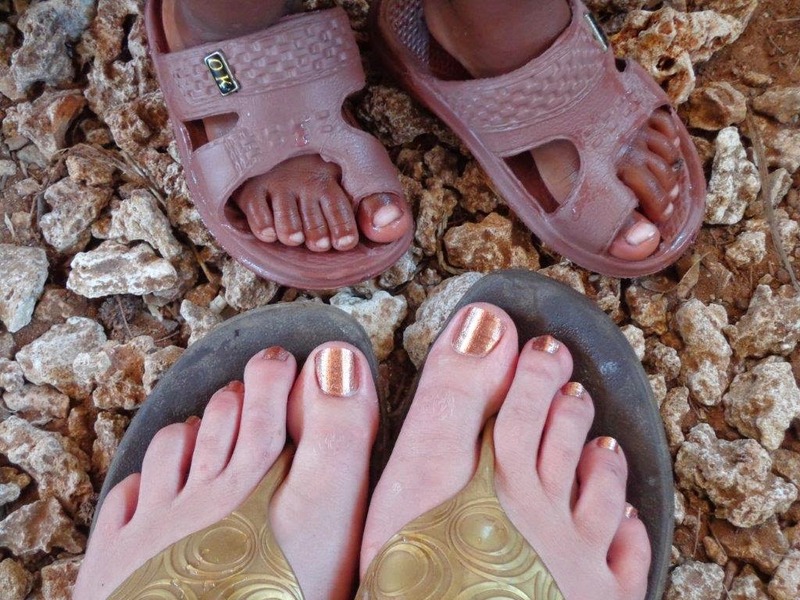 Madalena modeled my way of washing the feet of these small children and joined with me as we prayed over each one. As I prophesied over Madalena, I sensed the Lord would be using her in a very big way to serve him as she grows. Please pray that this girl would sense his call on her life and walk in it. 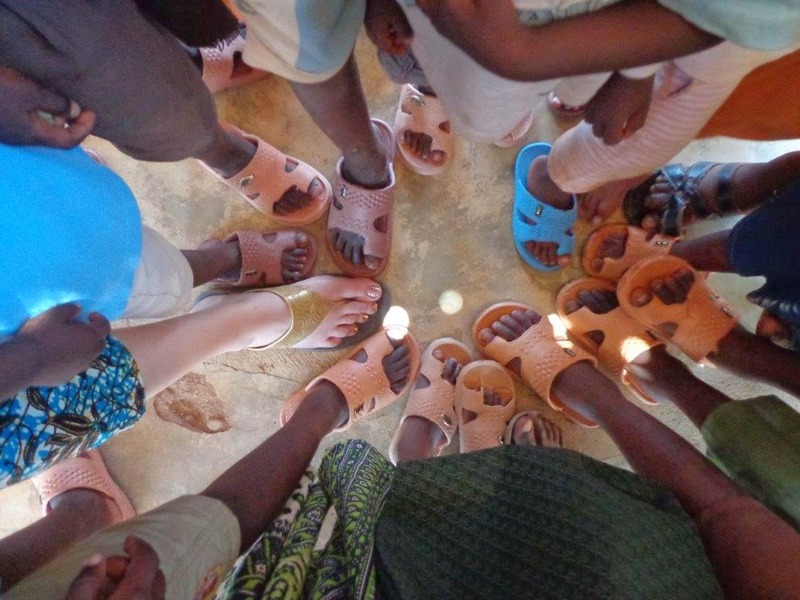 Each time I love on these children with a pair of Sensible Shoes, I'm reminded of the surprise of hope when someone else steps in to do the same. I never expected that kind of response to this simple act of worship and love and yet, our Creator knew. Over and over again, Sharon I can't think you enough for giving me the opportunity to honor you and serve the Lord by sharing Sensible Shoes.